Welcome regular readers and KMGH viewers. Below are the products featured on the Denver ABC-affiliate station this week (video available here). The spot was only a few minutes long, so you'll find more information, prices and links to the gear that had me playing Vanna White. Because I didn't have these items when my kids were babies, you'll have to rely on what the manufacturers say about each. So unlike what you'll find elsewhere on this blog, these are unreviewed items and, except for the last very cool product, there are no thumb ratings given. 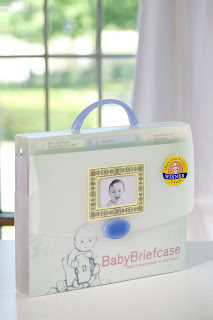 BabyBriefcase: Briefcase-shaped file organizer specially designed to store all of a baby's documents and information in a way that can be easily kept track of and accessed by parents whether at home, at the doctor on during travel. $30 at BabyBriefcase.com. 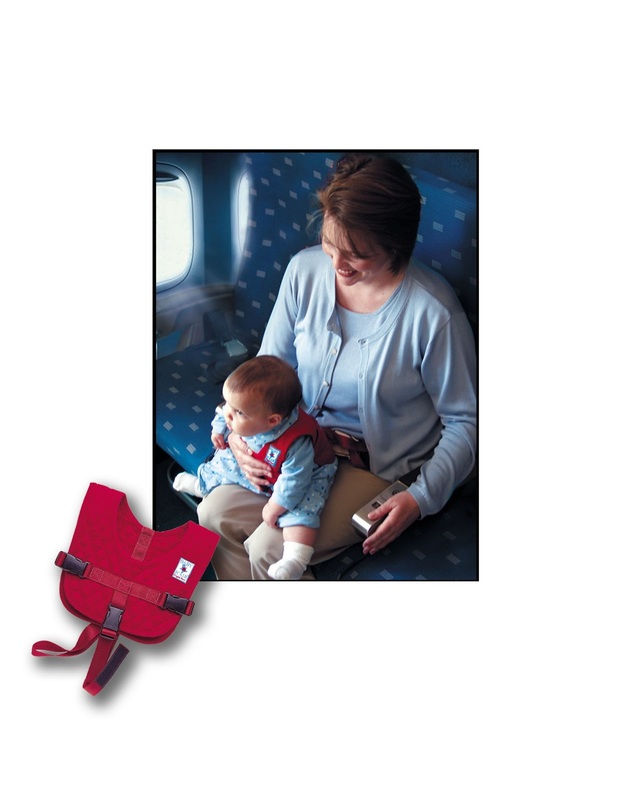 Peekaru: Fleece vest that comfortably and fully zips over any baby carrier, keeping baby and mom snug and warm. No more trying to tie and scrunch blankets in place or fit baby on over a jacket. $80 at togetherbe.com. SimpliSafe: First fully portable, wireless, easy set up home security system, at a fraction of the cost of other systems. Takes only minutes to set up, the SimpliSafe system includes motion sensors, a panic button, a door/window opening sensor, and an alarm key fob. No contract necessary. $200 at SimpliSafe.com. 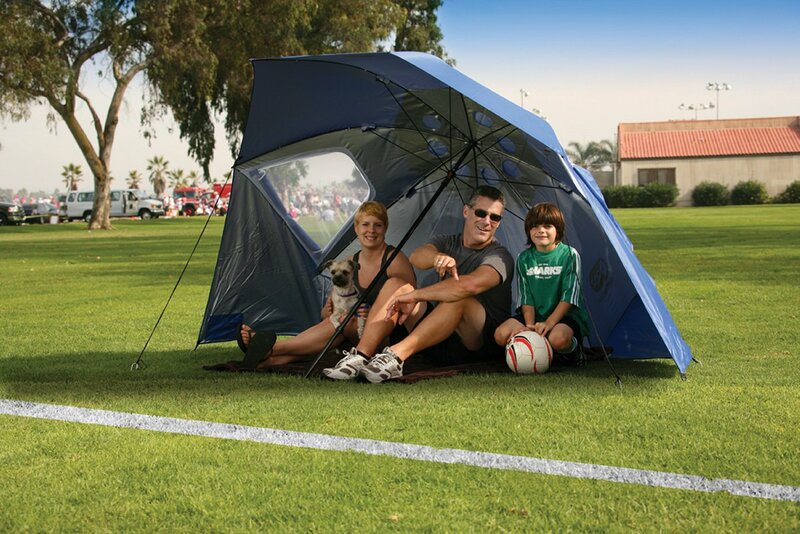 Sport-Brella: No need to find a covered area or bring hosts of umbrellas. Sport-Brella gives you instant protection from the elements (SPF 50+). Its umbrella action open mechanism allows it to be set up in just three seconds and fits the whole family. I love this product -- thumbs up for rain or shine. $60 at Sklz.com. Thanks for visiting! We hope you subscribe and come back for more sassy reviews. wow that sport brella really looks like a great idea. So need that at the Y soccer games! You look so relaxed in front of the camera! I have the SportBrella and it gets used so often it stays in the car all of the time ... Except when it is being used, of course. It has been tested in both sun and rain conditions and is loved by us, and all who ask to snuggle up under it with us. I am definitely intrigued by that sportbrella. 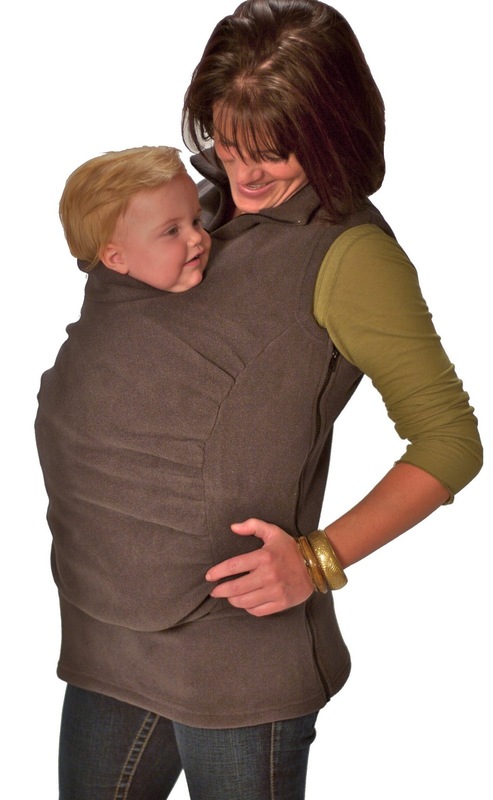 That would be way handy for long summer days spent at the park. These are all great ideas! I will be traveling with my 18 month old this summer and am eying that flight seatbelt!